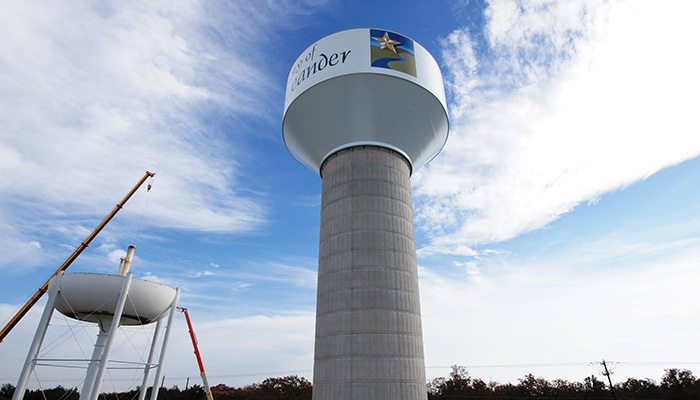 Rapid growth in Leander has placed new demands on the water system requiring additional storage and pumping capacity. The Upper Pressure Plane of Leander had been served by a hydro-pneumatic-tank system that did not provide emergency storage for power outages and firefighting in this heavily wooded area. Additionally, the city wanted to rectify several areas within their service area that experience low pressures during periods of high demand. A new 1.25 MG elevated storage tank (EST) replaced the existing hydro-tank and aging 0.5 MG elevated storage tank. The existing Crystal Falls Pump Station that supplies water to the 1270 pressure plane was expanded to handle growing system demands. KFA recommended construction of a composite elevated storage tank along with modifications to the existing pump station and distribution system. After examining several options for the pump station expansion, KFA determined that replacing the existing 60 HP pumps with new 125 HP pumps would provide a new firm capacity to the 1270 pressure plane of 8,750 gpm. KFA prepared the construction documents for the improvements, including the drawings and specifications for the new pumps, the new EST and the demolition of an existing 0.5 MG EST. The boundaries of the city’s pressure zones were modified to supply better pressure to various areas. Utilizing the WaterCAD model of the city’s system, KFA identified locations for 10 new mainline PRVs and 90 individual service PRVs to be included in the project. As the majority of the water that serves the entire city runs through this facility, the largest challenge for the project was preparation of specific and carefully sequenced construction phasing plan that would allow the city to maintain water service to the system at all times during construction. 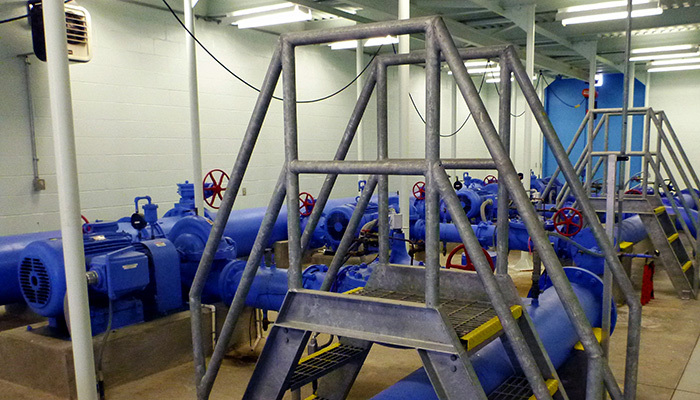 The project was successfully completed, while maintaining water service throughout construction. The expanded elevated water storage and pumping capacity has provided the necessary reliable water service to the rapidly developing city. The project has also greatly increased system reliability during power outages and firefighting operations. 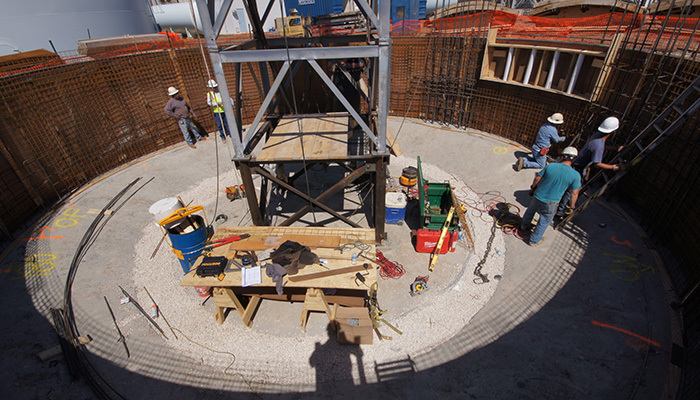 Design and construction of a new 1.25 million gallon elevated storage tank. Improvements to an existing pump station to increase flow and head to serve the elevated storage tank. 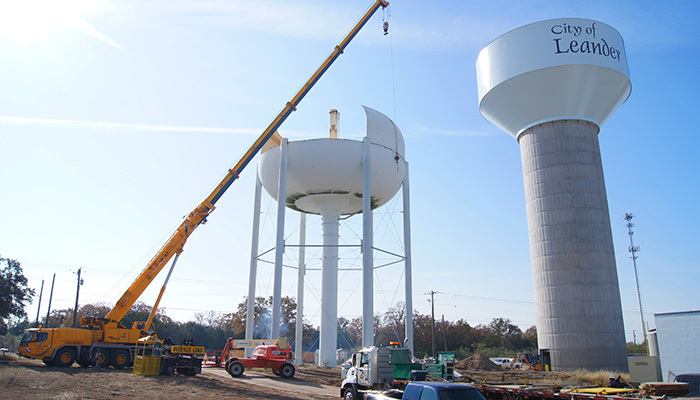 KFA performed system-wide water modeling to size the elevated storage tank and pump station improvements.